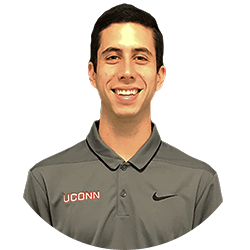 The Aspire Group has announced the addition of Aaron Kurz to Manager of Sales and Service at the University of Connecticut (UConn) Fan Relationship Management Center (FRMC). Kurz will oversee the staff responsible for new sales and service and retention for UConn’s ticketed sports as well as stand-alone donations to the Husky Athletic Fund. Kurz served as a New Business Team Leader at the University of Maryland FRMC where he generated $275,000 in revenue and led a team of six consultants primarily focused on business to business sales. Prior to Maryland, Kurz earned the rank of highest revenue generator in various ticket sales roles with the Orange Bowl Committee, Washington Nationals (MLB) and DC United (MLS). The Bethesda, Maryland native interned with the Miami Heat (NBA) sales department while earning his Bachelor of Education in Sport Administration from the University of Miami (‘12).